When it comes to health, safety, and the environment (HSE), Cerib uses its expertise to provide advice and technical support for procedures aimed at reducing workplace risks and accidents, improving health, safety, and working conditions, and making work in industrial facilities less arduous. Cerib gives pointers for the implementation of environmental management systems on manufacturing sites (control of environmental impact, waste recycling, water and energy management, raw-materials management, etc. ), and of environmental action plans to meet regulatory requirements and, potentially, to achieve certification against the ISO 14001 standard. 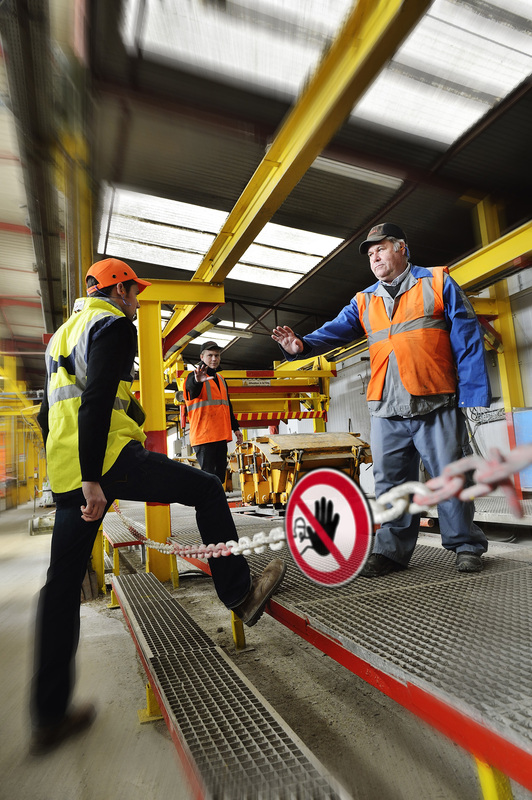 Cerib’s specialized Health, Safety, and Environment workforce has developped effective accident-prevention tools that are available to HSE managers in plants. These include, for example, the Safety Calendar (monthly focus on a means of prevention) and Regional Rendezvous examining current issues. The HSE team is supported at the regional level by Safety Coordinators in order to keep in close touch with manufacturers’ concerns regarding both risks and accident prevention, and it maintains regular links with the various safety and accident-prevention bodies while conducting regulation tracking with respect to all issues of health, safety, the environment, and risk-reduction relative to manufacturing plants.